Honda City EMT versus Nissan Sunny XV: Which one is for you? Two very different cars – Find out which one is better suited to your needs and preferences! 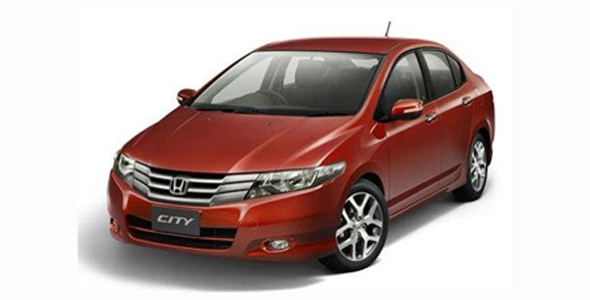 The Honda City is a tried and tested vehicle; it’s a popular sedan which offers performance and handling. The Nissan Sunny on the other hand is a new entrant in India’s competitive sedan segment. Since price is the foremost criteria for buyers in India, we decided to compare the base EMT variant of the Honda City with its similarly priced Nissan Sunny variant, the top-end XV. Also see: Nissan Sunny video review! So, how does the new Nissan Sunny stack up against the segment leader in terms of ride, comfort, space et al? That’s exactly what we’re about to find out. The Honda City’s 1,497cc i-VTEC petrol engine makes 117 bhp of power which makes it a joy to drive. It pulls with ease and the steering too gives ample feedback, something enthusiastic driver’s love about the car even today. The Honda City’s gearbox is a breeze to shift through and makes driving fun. The ride overall is smooth and planted. The backseats of the City aren’t heavenly but are comfortable to say the least. The Nissan Sunny too sports a similar 1,498 cc petrol engine but manages to make only 98 bhp of power and 134 Nm of torque. The car is underpowered and the engine fails to give the punch you would expect from a car in this segment. The Sunny’s second drawback would be its gearbox which doesn’t quite feel right; it feels stiff and takes more effort to operate than you would like to put in. The Sunny is not a driver’s car by far but does leave quite a mark in some other areas. The Sunny boasts of space and comfort right from the start. It is 4,425mm in length and although that is only a puny 5mm more than the City, Nissan has made sure you feel every bit of space on the inside. The car can seat five adults in utmost comfort and even with a six feet tall person in the driver’s seat rear seat leg room is not an issue. In fact at 636 mm the Sunny has best in-class leg room. The Honda City does have marginally more boot space of 506 litres as against the Sunny’s 490 litre boot, so you can probably carry one small handbag more in the City! There is one aspect where the City despite being an older model has never quite been worried about; looks. If you look at both the City and the Sunny parked besides each other, you will notice that the Sunny does look like a bigger car. The Sunny is actually slightly taller (1505 mm) than the City (1480 mm) but in terms of width both the cars are similar. It isn’t really a fair battle as both the cars come from entirely different schools of thought as far as appearance is concerned. So while the City might appeal to the young and enthusiastic, the Sunny’s design is more for those who prefer sitting in the rear seat with a coffee and a magazine. Winner: No winner, your personal preference and taste apply! In terms of features the Honda City EMT offers grey fabric seats, air-conditioning, and a rear arm rest with cup holders, tilt steering, and fuel consumption display with warning, power steering and power windows. The Nissan Sunny XV offers much more in terms of features. The Honda City EMT comes at a price of Rs. 7.5 lakh, while the Nissan Sunny XV can be bought for Rs. 7.68 lakh. The City EMT may be cheaper but the Sunny XV does offer much more in terms of features. In terms of fuel efficiency both the City and the Sunny stand head to head with mileage figures of 17 kmpl and 16.95 kmpl respectively. The Honda City is a great car for buyers who are not hell bent on being noticed on the road and are more concerned about handling and performance. 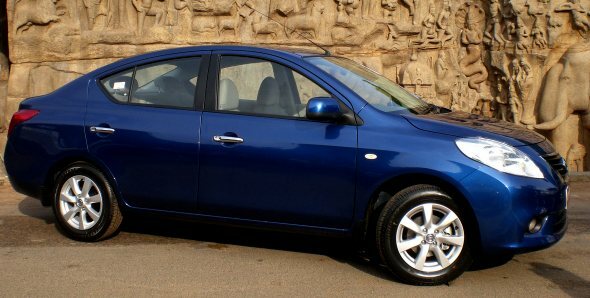 The Nissan Sunny is on the other end of the spectrum and will appeal to buyers looking for a comfortable and spacious sedan that will likely be chauffeur driven. Overall both cars have their own unique aspects but the Sunny has an edge over the City in terms of value for money but Honda’s service network is far more accessible.